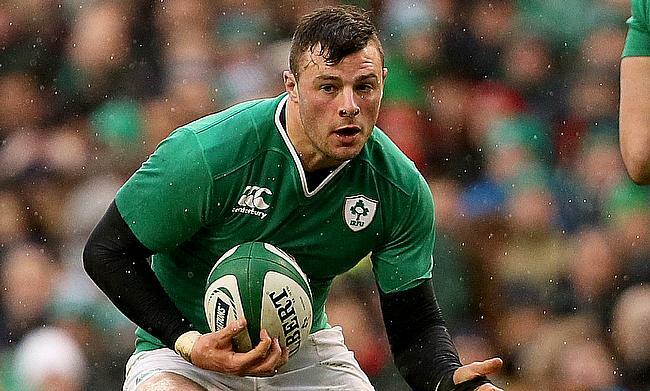 Ireland head coach Joe Schmidt has named Robbie Henshaw at full-back for the Six Nations opening clash against England to be played at Aviva Stadium in Dublin. This will also be the 25-year-old's first start at number 15 since 2013 when he was slotted at fullback during his debut against USA while Garry Ringrose and Bundee Aki will form the centre partnership. Henshaw had a tough year with injuries last year with a shoulder injury forced him to miss three games in Ireland's Six Nations Grand Slam triumph while a hamstring injury kept him out of the autumn internationals. Johnny Sexton as expected has overcame his injury to take his customary fly-half position while Conor Murray, who missed out the November series with a neck injury takes the scrum-half position. Jacob Stockdale, who had a fabulous last year will line-up in the wing along with Keith Earls while Cian Healy, captain Rory Best and Tadhg Furlong comprise the front-row. The second-row consists of James Ryan and Devin Toner while Peter O’Mahony, Josh van der Flier and CJ Stander all form the back-row as Ireland aim to make winning start to the tournament. Ireland starting line-up: Robbie Henshaw, Keith Earls, Garry Ringrose, Bundee Aki, Jacob Stockdale, Johnny Sexton, Conor Murray; Cian Healy, Rory Best, Tadhg Furlong, Devin Toner, James Ryan, Peter O'Mahony, Josh van der Flier, CJ Stander. Replacements: Sean Cronin, Dave Kilcoyne, Andrew Porter, Quinn Roux, Sean O'Brien, John Cooney, Joey Carbery, Jordan Larmour.